Today's the day many Anglophiles have been waiting for. Ten years after the publication of The Guernsey Literary and Potato Peel Society novel came out, the movie has finally come to Netflix. Set in 1946, the novel and movie tell the story of a young author in search of her next book. A mysterious letter awakens her to the possibility of a story in Guernsey, and she sets out to learn more. The story is told through correpondence, and skillfully weaves present-day romance and intrigue with the dark past of World War II and the German occupation of Guernsey. Fun fact: a story told through documents is referred to as an epistolary novel. Other famous examples from the British Isles include Dracula, The Tenant of Wildfell Hall (also a BBC miniseries here), Frankenstein, and possibly Jane Austen's lost novel First Impressions, said to be the basis for Pride and Prejudice. Oh, and how could we possibly forget Fanny Hill: Memoirs of a Woman of Pleasure? Starting today, The Guernsey Literary and Potato Peel Pie Society is available on Netflix. You can view it here if you have a subscription. The film version stars Lily James (Downton Abbey) as Juliet Ashton alongside Michiel Huisman (Game of Thrones, The Age of Adaline) and Glen Powell (Scream Queens). 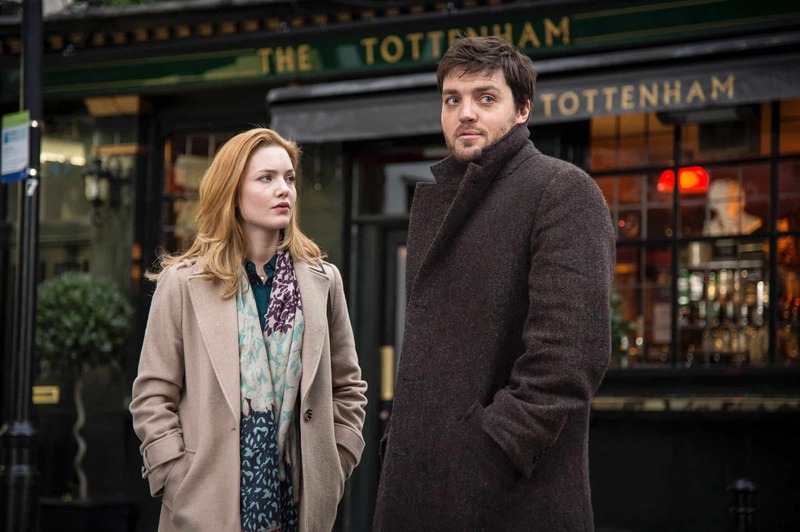 Fans of The IT Crowd and Doc Martin will also notice Katherine Parkinson in the role of Isola Pribby. Netflix did the film adaptation, so for now that's the only place you're going to see it. We've yet to see word on a DVD release or any other streaming services that will eventually carry it. 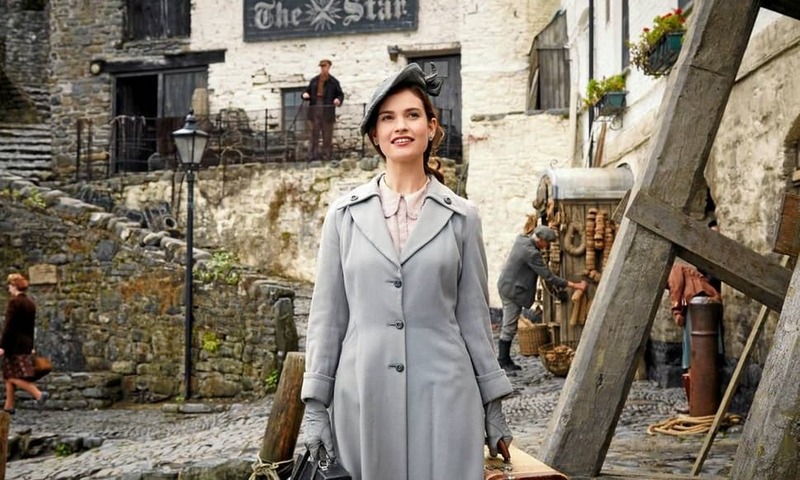 Will you be watching The Guernsey Literary and Potato Peel Pie Society movie? Let us know what you thought in the comments! Interestingly enough, the actors in The Guernsey Literary & Potato Peel Pie Society didn't set foot on the island of Guernsey for filming. Instead the film used locations around London, Bristol, and Devon to give the film the period look they were going for. It's not that Guernsey wasn't attractive enough, or that they couldn't achieve the right look, though. In reality, it was likely down to a lack of filming incentives on the island. As a crown dependency, they don't offer the same benefits a company can get by filming on the mainland. If you do want to see a bit of Guernsey, though, fear not. There are plenty of places to get your REAL scenery fix. First and foremost, we recommend Charlie Luxton's Homes by the Sea, also on Netflix. Episode 3 is set in the Channel Islands, with roughly half the episode devoted to Guernsey. Bergerac (with John Nettles) is also filmed in and around the Channel Islands of Jersey and Guernsey, as were parts of the 80s television series Howard's Way (a region-free DVD player is needed to play this set from Amazon UK). For some more historic fare, consider the 1973 film The Blockhouse, a WWII story set on the islands during D Day. Of course, if you don't have time for any of that, you can also check out the gorgeous scenery in this video from their tourism council. Please make this film more available. A wonderful story should be shared.